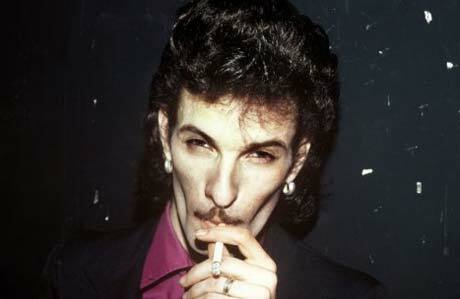 Willy DeVille, the singer, founder and principal member of '70s punk/rock group Mink DeVille, has died. According to DeVille's publicist, the songwriter passed away Thursday night (August 6) in hospital due to pancreatic cancer. He was 55. "Willy DeVille this night joined Edith Piaf, Jack Nitzsche and Johnny Thunders," DeVille's French tour organizer told AFP, referring to the French chanteuse who inspired him, to his producer and to the fellow '70s punker, respectively. Deville and his band cut their teeth in the late '70s, playing in New York's legendary CBGB alongside acts such as the Ramones, Blondie and Television. Eventually, Deville went on to work with famed producer Jack Nitzsche, who once studied under Phil Spector and helped shape several of Mink DeVille's early albums. The 1977 record, Cabretta, featured the song "Spanish Stroll," which became a Top 20 hit in the UK. "Mink DeVille knows the truth of a city street and the courage in a ghetto love song," Rock and Roll Hall of Fame songwriter Doc Pomus once said about the band. "And the harsh reality in his voice and phrasing is yesterday, today, and tomorrow - timeless in the same way that loneliness, no money, and troubles find each other and never quit for a minute." During the next decades, DeVille began moving away from punk towards R&B, cajun and creole, in part inspired by his new home of New Orleans. In 1992, he produced a mariachi version of the '60s rock staple "Hey Joe," which became an international hit. DeVille's last effort was the 2005 solo album Crow Jane Alley.